Adam Ellis saddles are made by Master Saddler Adam Ellis. These english made saddles are of high quality at a price that can not be beat. Each saddle comes with a host of options to please both horse and rider. Adam Ellis is not yet well known in the US but has become very popular throughout the UK and europe. Please note below is only a selection of their entire line of saddles. 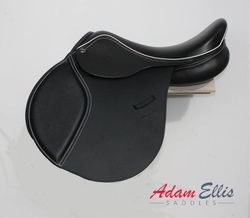 Any saddle from Adam Ellis can be ordered to your specifications. Prices subject to change and represent the base model price some customization options cost extra. Beautiful and classically designed deep seated dressage saddle. Designed to promote a close contact feel, with seats t the centre point of gravity. 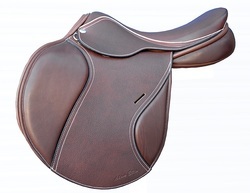 This saddle is styled to provide a traditional designed dressage saddle, offering a high quality handcrafted saddle. -Wide choice of leathers and piping to ensure an individual look, including calf leather for that optional soft "broken in feel" at an additional cost. 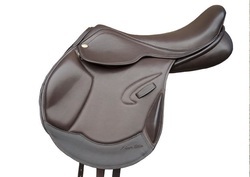 Forward cut jumping saddle also available in a close contact model. 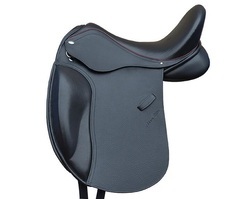 -Seat is designed for the competitive rider, ensuring close contact and promoting feel between horse and rider. -Calf covered available at additional cost to ensure a soft "broken in feel" from new also providing extra grip and stability for the rider. The Style is designed with style and performance in mind. The highest quality of dressage saddles, specifically designed to suit high withered horses and a finer bred of horses which have specific design requirements. 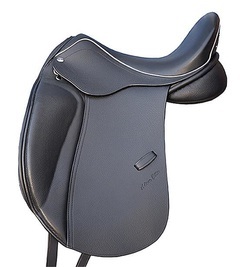 This saddle really is the penultimate design in dressage saddles. 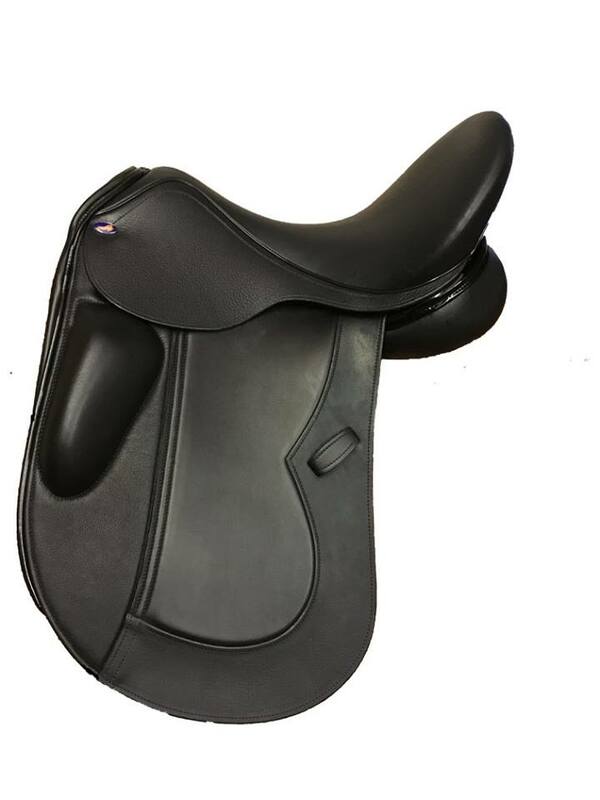 The Bonnie Eventer saddle is the most recently designed event saddle for the modern sports horse and aimed at the more professional rider with a laid back cantle for a flatter seat. Offering high quality design, leather and finish this saddle is beautiful to look at and to ride in. Lighter design, with a single flap design, wool felt panel or rubber panels, which ensure that riders are provided with the closest feeling with their horse. Forward cut, designed to the leg length of the rider. Suitable for the modern sports horse. Wool bag or rubber panels. Designed to provide the rider with the closest point of gravity. Laid back cantle for a flatter seat. Designed to promote shoulder and knee flexion. Wool bag panels designed to ensure seem free gusset and a lighter feel. Adjustability to ensure a precise fit. Wide range of fits suitable for a broad range of competition horses. Designed to avoid pressure points. Designed to optimise rider balance. Introduced in 2016 this beautiful new monoflap model has calf details and external knee blocks available in short (pictured) or long length. 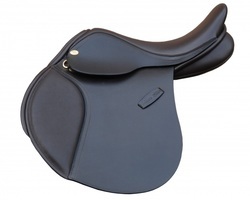 The Mono Event saddle continues to be one of the biggest selling event saddles. Offering high quality design, leather and finish this saddle is beautiful to look at and ride in. Lighter design, with a single flap design. The same quality and many of the same options available in a jr. saddle. Available in seat sizes 13-16"